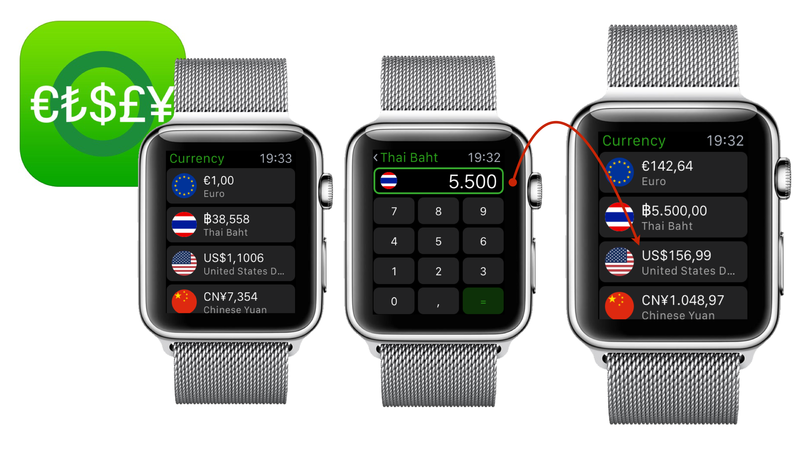 Jeffrey Grossman offers a powerful yet simple currency converter for iOS and watchOS devices. Install it on your iPhone, go to the Watch app and activate “Show App on Apple Watch“. I additionally activated “Show in Glances” and put it in the first position for faster access while shopping. On the watch I only have to swipe up to instantly use the converter. The app is a perfect daily little helper when traveling abroad or find out the right point in time to transfer money. No, because like any other currency app I know so far it doesn’t offer an alarm setting for currency rates moving out of defined limits.